Texas Elite Custom Homes is an award-winning luxury custom home builder specializing in building custom homes and remodeling in Texas. With over 20 years of construction experience, we have the knowledge and experience needed to construct the quality home you deserve. 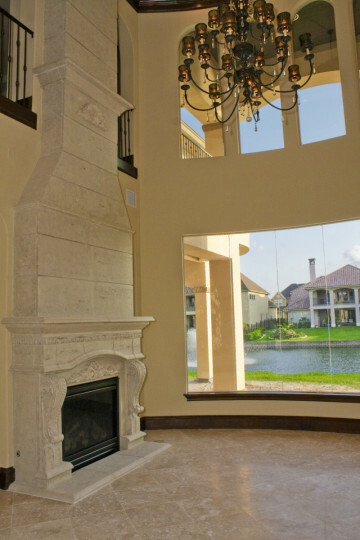 Texas Elite Custom Homes has always sought out the finest architects, contractors, and support staff. We form alliances with investors, architects, designers, structural engineers, and specialized trades people. We are a leader in the building industry by adding more value, quality, and flexibility for all of our clients. We use the latest in design technology and green building practices, enabling us to be on the forefront of innovation. Our premier luxury custom homes are always exceptionally beautiful, well appointed, and extremely comfortable. We manage all stages of each project from the pre-design phase through construction and delivery. We maintain control throughout the design and construction process to ensure that your residence is built to the highest quality standards. We will lead you through the construction process and help maximize the experience of building your home or project. Our clients will be given the opportunity to have a fun and interactive role throughout the design, construction, and decorating process, resulting in an enjoyable experience for every client. We build everything with honesty, integrity, and a solid reputation. Texas Elite Custom Homes is known for quality construction, with the final product exceeding expectations and value. Thank you for your interest in Texas Elite Custom Homes. Please let us know if there is anything we can do to assist you in building your dream home. Building your dream home is what we do best!